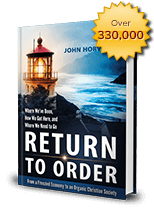 John Horvat II is a scholar, researcher, educator, international speaker, and author of the book, Return to Order. His writings have appeared worldwide including in The Wall Street Journal, The Christian Post, American Thinker, TheBlaze, Crisis, FOX News, and The Washington Times, as well as other publications and websites. He gives more than 150 radio and TV interviews annually. For more than two decades he has been researching and writing about what’s gone wrong with America’s culture and economy, an effort that culminated in the ground-breaking release of his award-winning book Return to Order: From a Frenzied Economy to an Organic Christian Society–Where We’ve Been, How We Got Here and Where We Need to Go. 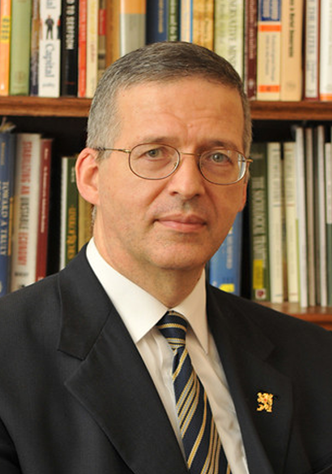 Mr. John Horvat is vice president and a member of the board of directors for the American Society for the Defense of Tradition, Family and Property (TFP), head of the TFP Commission for American studies, and a TFP Sedes Sapientiae Institute instructor. Additionally, Mr. Horvat is a member of the Association of Christian Economists, The Philadelphia Society, the National Association of Scholars, and the Catholic Writers Guild, as well as an Acton University participant. His research began in 1986 when he was invited by Prof. Plinio Corrêa de Oliveira, founder of the Brazilian TFP, to study the crisis of modern economy and to prepare a conservative response. Mr. Horvat continues studying and writing and is now one of the most sought after experts on the subject. When he’s not writing, Mr. Horvat enjoys jogging and fencing. He lives in Spring Grove, Pennsylvania. You can reach Mr. Horvat directly at jh1908@aol.com.